303 Red Dead Lane News!! 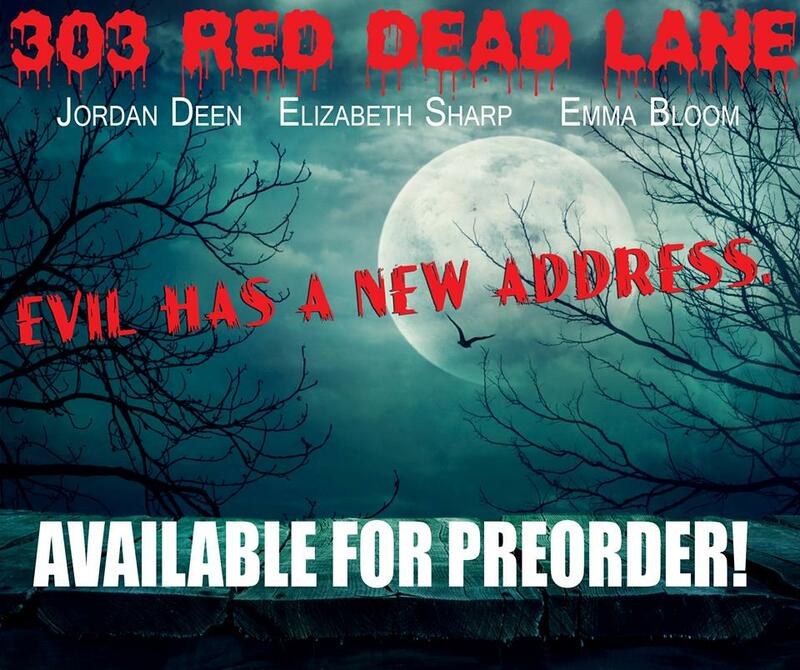 I have great news, 303 Red Dead Lane is now up for Pre-order!!!! I am so excited!!! This hair raising book by Jordan Deen, Elizabeth Sharp and Emma Bloom will leave you shivering down to your bones. I’m happy to announce that this is Emma Bloom’s debut and I know for a fact she had a blast working with the other authors on this book. There will also be a cover reveal party on Facebook that is sure to be a blast! Come join us! !